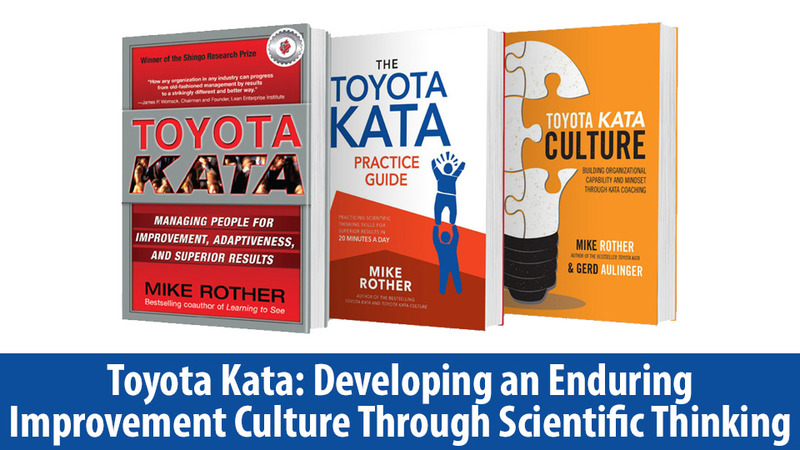 Central Coast Lean in conjunction with Lean Frontiers is hosts a free viewing and open forum on Toyota Kata: Developing an Enduring Improvement Culture Through Scientific Thinking. Lean Frontiers is holding a 3 hour online event where experts help us learn about the Toyota Kata approach to continuous improvement. Central Coast Lean is paying the $195 for one device and will allow anyone to join us for viewing in room 03-207 in the Business Building on the Cal Poly Campus. Free coffee and a lite breakfast will also be provided. Central Coast Lean Leadership FREE Event. Please join us for a free Forum as we explore the Restaurant Industry from a lean perspective on Thurs, 15 March, 4-6pm at Cal Poly – Warren J. Baker Center for Science and Mathematics room 107 (180-0107). 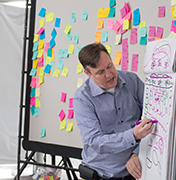 Bring your organization’s lean experience, challenges and solutions to share. Presented by Vahid Keshtgar, co-founder and CFO of Keshtgar Corporations. Most people believe Lean concepts are designed for manufacturing environments only. After being introduced to these concepts and obtaining a Green Belt in Lean 6 sigma, I used my knowledge to apply these ideas in different area of my business. The implementation of Lean concepts enabled my company not only to work more efficiently but also to save thousands of dollars. 1. The Central Coast LEAN IT team collaborates on a common challenge we have across our companies/institutions and leverage our collective talent and lean to create an effective flow/process that we can all plagiarize unscrupulously. 3. Build teamwork and have fun. 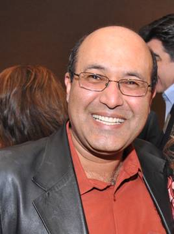 Vahid Keshtgar is the co-founder and CFO of Keshtgar Corporation. He and his brothers own and operate several Round Table Pizza restaurants through out Central Coast. In his capacity as Vice President and CFO of the company, Vahid designed and implemented strategic restructuring both financially and operationally to weather the great recession, resulting a more lean and efficient operation. Overseeing the operations aspect of the company, he is in charge of Human Resource Management (HRM), the Injury and Illness Prevention Program (IIPP), Quality Control, and Cleanliness and Service (QSC). He has been an active Round Table Pizza franchisee, participating in numerous projects such as the Round Table Franchise Corporation’s (RTFC) Reward and Recognition (R&R) task force, resulting in a nation-wide program for front line employees to move up the ladder of success within the company. In addition, Vahid has been an active member of the Round Table Owners Association (RTOA), serving as a board member for five terms. In addition, he has served as Chair of the Marketing Committee, interfacing with key RTFC marketing executives, for 8 years. Among his accomplishments are facilitating the development and implementation of the first RTOA web site and the creation of the Local Store Marketing program for Round Table Pizza nationwide. Vahid obtained a Green Belt in Lean 6 Sigma, and has been using his knowledge of A3 thinking to continuously improve the productivity and profitability of his organization. Who, what, and how’s of Lean Book Clubs. What are the best practices, what has been your experience? Central Coast Lean is open to sponsoring book clubs, especially for the books listed below. Central Coast Lean is looking for ways to support and promote lean practice in our community. One way we can do this is by providing books for groups who agree to run lean book clubs. Send me an email eolsen@calpoly.edu proposal, including:Your name and contact information. The number of folks in your book club. The book you propose to read. The meeting frequency and format you plan to use for book discussions. At the end of your book club’s reading and discussion, send me a one or two page executive summary, or A3, from your group including:Key insights gained from the book. Proposed or actual actions taken by your club or individuals based on the book. A group picture of your book club. While we hope to be able to fund several clubs and multiple books, preference will be given to clubs that want to read the books below that we purchased for the Summit. Jerry Solomon, author of Who’s Counting? and Accounting for World Class Operations, will be our Celebrity Guest Interview. This Forum also allowed participants to ask Jerry questions and get a preview of the workshop Jerry will be facilitating. VIDEO: We kicked off our discussions with a presentation by Ted Keller – Director of Accounting. Hosted by Central Coast Lean and Radiology Associates. We kicked off our discussions with a video presentation by Jill Speece: Achieving Harmonious Decision Making in a Team. Shared ideas and experiences with lean accounting and value stream costing. This was our first follow-up to the Central Coast Lean Summit Workshop facilitated by Brian Maskell in Feb 2016. At that time a bunch of folks were interested in creating a user’s group to share experiences on their lean accounting journeys. We kicked off our discussions with a stockroom tour and then a presentation by Nathaniel Kimble entitled: Evolution of Lean Warehousing at Zurn Wilkins. Bill Bellows came to Cal Poly to talk to our business and engineering students about quality and the thinking of great minds in the field such as Deming and Taguchi. To leverage his regular visits, we are created a special Out of the Blue Forum to allow the whole lean community access. This was a special edition of the Forum that combined participants from the usual Central Coast Lean community, our undergraduate lean classes and Kathy Chen’s engineering class. Light refreshments were provided. In addition to Model T’s, Henry Ford gave us plenty of food for thought, including the advice, “Whether you think you can or you think you can’t — you’re right.” He also suggested that “Coming together is a beginning; keeping together is progress; working together is success.” In this same spirit of collaboration, Vincent Van Gogh once proclaimed “Great things are done by a series of small things brought together.” Fast forward to 2016, when choosing to transform any enterprise from working separately to working together offers an undeniable economic, as well as competitive, advantage of deliberately managing our organizations with an unambiguous sensation of unity. Towards this end, would anyone name their football club, Manchester Divided, and operate it accordingly? 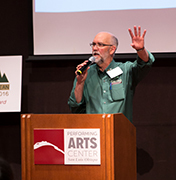 Hosted by Cal Poly and InThinking Network https://www.in2in.org/ . We all know that variation is to be expected. What is variation telling us about a process, and about the people that work in it? What paradigms are available to address variation? 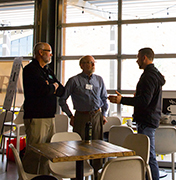 Do we have any organizations in our Central Coast Lean community who are on the right track? Where are the success stories? What are the failure paths? Genichi Taguchi used the concept of “loss” to describe the reality that product managers and program managers face with integration challenges. Through the ideas presented in this overview, attendees will better understand how to actively manage variation across the parts of any system. In the spirit of Brian Wilson’s adolescent wishfullness, wouldn’t it be nice if the great illusion of independent parts and tasks was replaced by the realism of unity and interconnectedness and the amazing prospects for teamwork. Bill Bellows is an Associate Fellow in the InThinking Network at Aerojet Rocketdyne in Canoga Park, California, where he is known for his efforts to provide insights to the advantages of thinking together, learning together, and working together. While integrating the thinking of W. Edwards Deming into Genichi Taguchi’s design system, he’s been a pioneer in developing ideas that include Mixed Model Management, Macro System Models, Micro System Models, Purposeful Resource Leadership, Category & Continuum Thinking, and Investment Thinking. Audiences for his classes have also reached after-school program in elementary schools, graduate students at Northwestern University, as well as corporate, university, and public classes across the United Kingdom. Bill earned his BS, MS, and Ph.D. in Mechanical Engineering from Rensselaer Polytechnic Institute in Troy, NY. Away from work, Bill serves as president of the In2:InThinking Network (www.in2in.org ), and as a board member of the W. Edwards Deming Institute (www.deming.org ), and the Volunteers of America – Los Angeles chapter (www.voala.org). He also serves on the editorial board of the Lean Management Journal (www.leanmj.com ). Hosted by Cal Poly and Dozuki https://www.dozuki.com/ . We all know that everyone in an organization should have their “standard work”, but what is it? How do we implement it on the shop floor or in the front office? What are the failure paths? Focus Topic: Why Lean Fails? Hosted by Cal Poly. We’ve all heard about lean success stories and maybe even experienced a few. This was our opportunity to learn from some things that might not have gone so well. by Chuck Intrieri, Charles M. Intrieri Consulting – LEAN, Inventory Optimization, 3PL, Supply Chain, & Logistics Consulting. Why Leans Fails in a Company? What is the effect of coming up short in the following areas during a lean implementation? The organizations attitude toward mistakes? A clear understanding of what it means to be lean? Mr. Charles (Chuck) Intrieri is a highly experienced and credentialed Lean Supply Chain professional and is a recognized thought leader and innovator, primarily in the areas of Lean Initiatives, Supply Chain Optimization, Third Party Logistics (3PL) outsourcing and selection, International Purchasing/Importing, Value Engineering, Inventory Management, Logistics, Warehousing, Strategic Sourcing, and Contract Negotiations. He is a motivational team builder with a history of conducting significant organizational transformation and achieving important operational successes at the local, regional and global level. Presentation by Keith McCandless, MA, a founding partner of the Social Invention Group and co-creator of Liberating Structures. Prevent the Spread of Super Bugs! Liberating Structures (LS) invites small changes in the pattern of interaction that help to create a more inclusive and respectful culture. Based on the complexity science principle that small changes can make a big difference, LS focus on routine microstructures that guide relational coordination. Conventional microstructures—presentations, brainstorming, management discussions, open discussions, and updates—are not well designed for enga ging people. In contrast, Liberating Structures make it practical to include and unleash everyone in responding to challenges.